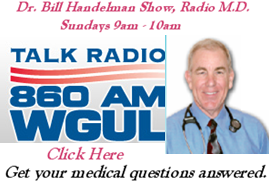 GUEST SPEAKER on Dr. Bill’s Radio Show? THE ONLY SHOW WHERE YOU CAN BE A SPONSOR AND A GUEST SPEAKER! $10 discount on our Cardiovascular Heart and Stroke Screening. 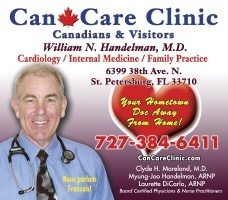 Our advertisements can be found in the St. Pete Times Neighborhood section and other local publications.